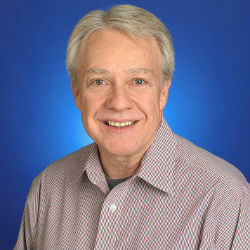 With over 40 years in the healthcare industry, including 7 in his current role as an Associate Professor of Nursing Education at Chamberlain University, the American Health Council is proud to welcome Dr. Park Balevre to its Board of Nurses, where he will be sharing his expertise in Clinical Management, Psychiatric & Mental Health Nursing, Nursing & Healthcare Leadership, and Nursing Education. Graduating initially from Austin Peay State University to attain his RN license, Dr. Balevre subsequently graduated with an MSN from the University of Phoenix and a Doctor of Nursing Practice (DNP) at Chamberlain College of Nursing (2015). Having transitioned from his former clinical and leadership roles, Dr. Balevre continues to serve the profession through teaching nurses. Initially, he became involved in Nursing through a life-changing emergency department visit where nurses made all the difference. Dr. Balevre attributes his past and current success to his passion for the profession and continuous learning. 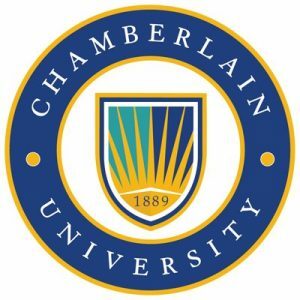 At Chamberlain University, Dr. Balevre teaches various DNP courses online and serves as a writing coach to graduate students. Formerly, he served on the pre-licensure Curriculum & Instruction Team and taught pre-licensure Nursing students. 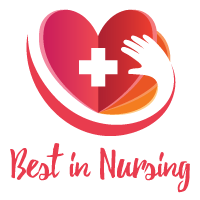 Dr. Balevre is currently a Board Member of the Great 100 Nurses of Northeast Florida, Inc., as well as an Editorial Board Member for the Journal for Nurses in Professional Development. He has also published various pieces on Research and Theory. A recipient of numerous honors and awards, Dr. Balevre has been garnered as a Great 100 Nurses of Florida Selectee from the Florida Nurses Association (2013), a Top 25 Nursing Professors by floridastatestats.org (2013), a DeVry University Distinguished Faculty Award (2012), a DeVry PRIDE Award (2012), a Nursing Excellence Regional Award for Education & Mentorship (2012), and is a Legacy Award Nominee from Health Source Celebration of Nurses (2012). He has won a Florida Organization of Nurse Executives’ Best in Class II: Showcase of Innovative Ideas (2001), Outstanding Faculty for Nursing from Jacksonville Business Journal (2008), and a UF/Shands Jacksonville Executive Fellowship (2010). He is professionally associated with Sigma Theta Tau International, the Florida Nurses Association, the American Nurses Association, the Association for Nursing Professional Development, and the Jacksonville Association of Nurses in Education. Dr. Balevre cites his body of Research and Publications as personal achievements, and in his spare time, enjoys traveling with his wife, scuba diving, water activities, reading, and writing. Chamberlain College of Nursing offers flexible and progressive academic nursing programs with a student- focused learning environment both online and on-site. They strive to create an academic culture in which colleagues and students thrive and that cultivates extraordinary graduate. Great 100 Nurses of Northeast Florida, Inc.